An LED is a small light bulb that easily fits into an electrical circuit. These light bulbs do not get hot and they are illuminated by the constant movements of the electrons located in the semiconductor material. The average life of an LED is around 50,000 hours, and it surpasses the life of the typical incandescent bulb by several tens of thousands of hours. Nowadays, you can find LED lights in a variety of applications, including LCD TVs. There is a strong reason why people are looking for cost-effective and energy-efficient lighting solutions for their homes: these lighting choices lower the utility bills and also take care of the problem of non-renewable energy sources. 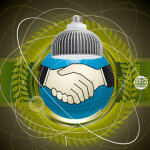 In the US alone, almost 90% of the energy relies on non-renewable sources. LEDs are by far the most efficient lights available on the market, and they have become so popular that they can be easily found in home-goods and hardware stores. Unfortunately, these innovative light bulbs are still a mystery to many people, because their mechanism is radically different than the one of standard light bulbs. Here you will find detailed information about how LEDs work and how are they able to generate constant and reliable lights without any maintenance. The answer lies in the name of the light bulb: LED stands for “Light Emitting Diodes” and it refers to a special type of diode that is especially created to provide light when electricity passes through it. These diodes are basically semiconductors that are used to control the direction of the electricity flow. The average light emitting diode does this through what is known as a “p-n junction”, which is formed of a p-type semiconductor (which contains positively charged carriers) and an n-type semiconductor (which contains electrons). The connection between these two types of semiconductors is known as a “p-n junction”. These junctions are the building blocks of every semiconductor electronic device. Light emitting diodes are modified in order to produce a form of light radiation, and the electrons from n-type semiconductors simply connect to the carriers in the p-type semiconductor, and the electricity flow is unidirectional: it is possible only from n to p, not the other way round. When the junction is formed, electrons located in the diode change their state and start to emit photons: electrons change their orbit by moving from a higher orbit to a lower one – when they do that, they automatically lose energy in the form of light. The more energy is lost, the more powerful the photons of light. This is when the color starts to change and light is being emitted by the LED. The color that is emitted by the LED is somehow influenced by the material of the bulb as well as the current that runs through it. 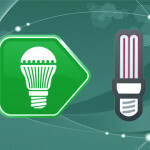 The semiconductor materials can be designed to limit the amount of energy that flows through them, and this will automatically change the color of the light – this is how you obtain a multi-color LED bulb. When the LED starts to produce light, this phenomenon is known as “electroluminescence”, and this is different from any other kind of light emission because it provides no heat. When the traditional light bulbs emit light, that process is called “incandescence” because they emit heat along with the light (thus the name “incandescent light bulbs”). 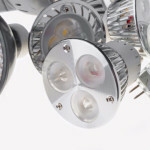 Generally speaking, LED lights are designed to emit one color of light, but over the past years manufacturers have come up with bicolor light bulbs, and the most popular colors at the moment are red, green and blue (although there is a wide variety of colored LED bulbs available on the market). In the case of large LED displays, the manufacturers use a combination of LEDs that aim to give a wide range of colors (these displays use a 3-LED pixel). The improved intensity and the low cost have broadened the applications. 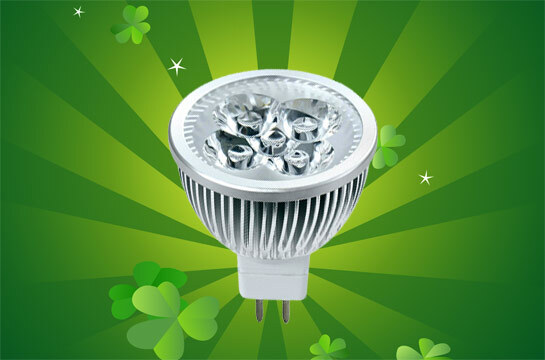 The LED contains a pair of leads along with a plastic body that is encased around the leads and the semiconductor – this way, the light is emitted through the bulb plastic. However, most LED bulbs have a round shape that aims to focus the light and focus it in one particular direction. 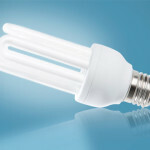 A regular LED bulb does not depend on the voltage and it requires no maintenance over the years.